The last day for Initial Bidding is March 14th for this sale. 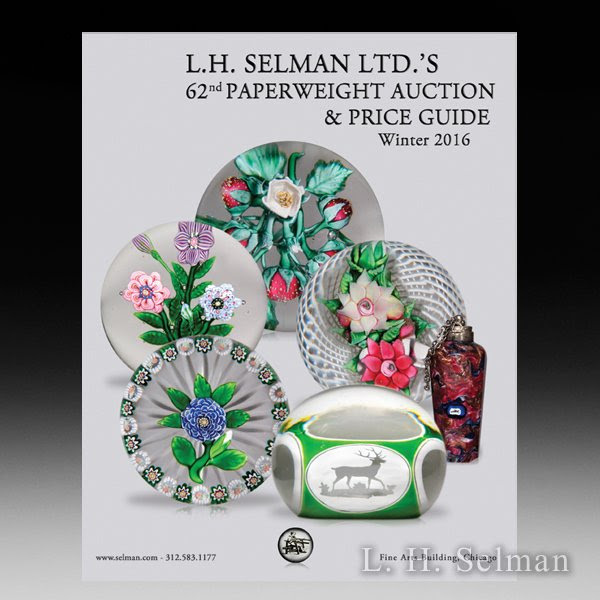 With so many amazing paperweights to choose from for this auction the selection process was very difficult. As usual we made an effort to feature a little bit of everything so that no matter the collection we hope to have something that is a good fit. We are particularly excited about our top end antiques this auction, some very rare pieces from some outstanding collections. We also have some whimsical pieces, and of course, modern pieces from our cherished artists. Our auctions are a hybrid unlike any other, one that allows a budget conscious bidder to have an equal foothold against those that do not, so if you haven’t tried it out yet please email lhselman@gmail.com so we can help get you started. This entry was posted in Auction by Ben Clark. Bookmark the permalink.